New Hope Women of Today: What are “Community Notes”? There are so many amazing things happening in our community. 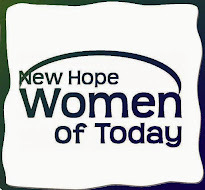 New Hope Women of Today would like to take a moment now and then to promote other organizations and businesses that are doing great things. Our Community Notes posts will highlight those things.